Refer to the list below for some of the more common income sources you’re likely to include in your return. For a full list, refer to the Canada Revenue Agency’s General Income Tax and Benefit Guide 2017. Deductions can help you reduce the amount of income you have to pay taxes on, or directly lower your tax liability (the total amount of tax related to your income). Before you can calculate your taxable income, you must first claim any deductions that apply to you. Some deductions encourage beneficial behaviours like making contributions to your RRSP, or splitting pension income with your spouse*; others are designed to help you manage the costs of daily life (like the cost of childcare and, in some cases, work-related expenses that can be deducted from your total income). Refer to the list below for some of the more common deductions you’re likely to claim on your return. For a full list, refer to the Canada Revenue Agency’s General Income Tax and Benefit Guide 2017. Once your net income has been determined, additional deductions are applied to your return to calculate your taxable income. Some of these deductions include the Canadian Forces personnel and police deduction, Other payments deduction (like social assistance and worker’s compensation), net and non-capital losses of other years (if applicable), and the Northern residents deduction. The income that’s left is known as taxable income. Your taxable income is then used to figure out the amount of federal and provincial taxes you owe before your non-refundable and refundable tax credits are claimed. What are federal non-refundable tax credits? These credits reduce your federal tax owing. Generally speaking, if the total of these credits is more than the federal tax that you owe, you won’t receive the difference back as a refund. However, you will receive a refund if the amount of taxes you’ve already paid to the government (or the taxes paid by your employer on your behalf) is more than what you owe once these credits have been applied. For example, let’s say your total federal non-refundable tax credits for 2017 is an even $1,000. If, while completing your return your tax owing is calculated to be $750, the best your non-refundable credits can do is reduce this amount to $0. If, however, your taxes withheld at source by your employer equals $750, applying these credits to your return (along with your provincial non-refundable tax credits) might actually reduce your tax owing to a point where you’ve paid too much tax during the year. If that’s the case, you’ll receive the difference as a tax refund. Refer to the list below for some of the more common non-refundable credits you’re likely to claim on your return. For a full list, refer to the Canada Revenue Agency’s General Income Tax and Benefit Guide 2017. Before your non-refundable credits can be subtracted from your income, a specific federal tax rate must be applied to the different tiers of your income; the amount you’re left with is your basic federal tax. Your total federal non-refundable tax credits are then subtracted from your federal tax owing giving you your basic federal tax. Note: When your net federal tax is combined with your provincial or territorial tax, the result is your total tax payable. What are provincial non-refundable tax credits? Just like federal non-refundable tax credits reduce your federal tax owing, provincial non-refundable tax credits lower the amount of taxes you’re required to pay to your provincial or territorial government. Generally speaking, if the total of these credits is more than the provincial or territorial tax that you owe, you won’t receive the difference back as a refund. You will, however, receive a refund if the amount of taxes you’ve already paid (or the taxes paid by your employer on your behalf) to the government is more than your net federal tax and net provincial tax owing. If, however, the taxes withheld at source by your employer equals $750, applying these credits to your return (along with your federal non-refundable tax credits) might actually reduce your tax owing to a point where you’ve paid too much tax during the year. If that’s the case, you’ll receive the difference as a tax refund. Refer to the list below for some of the more common non-refundable credits you’re likely to claim on your return. 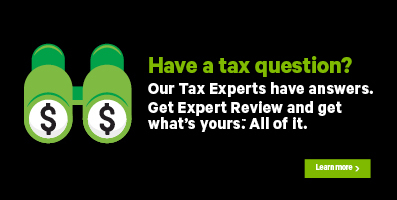 For a full list, refer to the Canada Revenue Agency (CRA) website. Before your non-refundable credits can be subtracted from your income, a specific provincial tax rate must be applied to the different tiers of your income; the amount you’re left with is your provincial or territorial tax on taxable income. Your total provincial non-refundable tax credits are then subtracted from your provincial tax owning, giving you your provincial tax. Note: When your provincial or territorial tax is combined with your net federal tax, the result is your total tax payable. What are other amounts payable? Depending on your situation, you might end up having to pay an amount that’s separate of the income tax you owe. Two of these amounts, CPP contributions payable and Employment insurance premiums payable (if you're registered to participate in the EI program) relate specifically to self-employment income; the third source relates to the repayment of certain social benefits. If you’re an employee, you and your employer will split CPP contributions (equal to 9.9% of your income) evenly. If you’re self-employed you’re responsible for the entire contribution amount. Like your CPP contributions, as someone who’s self-employed, you’re also responsible for paying the employer and employee share of your Employment insurance premiums. If you have one or both of these amounts outstanding, they’ll either lower your tax refund amount or increase the amount you’ll have to pay to the government. Note: If you have to repay some of your Employment Insurance benefits this year, you’ll be able to claim some or all of this amount as a deduction on next year’s return. You might need to repay some or all of your OAS benefits if your net income before adjustments for 2017 is more than $74,788. You’ll need to pay 15% on the difference between your income and $74,788. What are payments and refundable credits? Some government benefits like the GST/HST credit (paid quarterly), and the Canada child benefit (paid monthly) are based on your net income. The amount of tax that’s deducted from your paycheck is considered a payment to the government. Depending on how much is withheld by your employer and your refundable credits, these amounts will either lower your tax owing or increase your refund.